The Walking Dead Social Game Coming to Facebook! We all get those annoying requests on Facebook for games such as Farmville & Cityville, but now it looks like The Walking Dead social game is coming to Facebook. The game is currently being developed by AMC and Eye Wide Games and pretty soon it will let you, and your friends, protect what’s yours from the groups of flesh eating walkers. 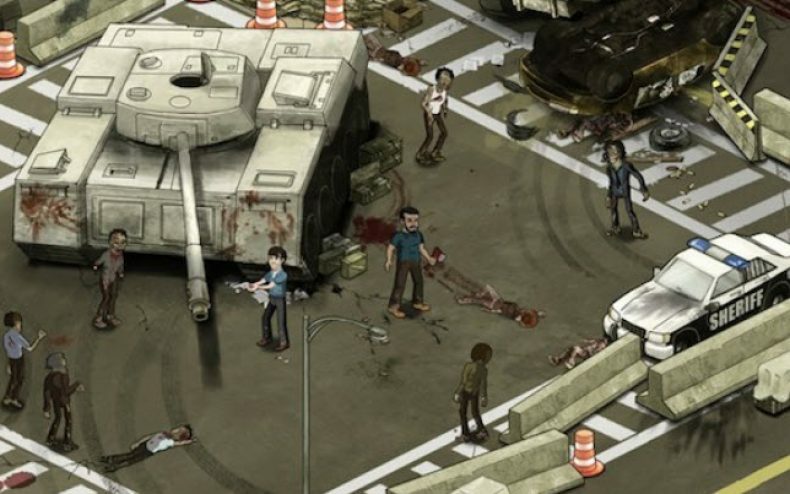 Your objective in The Walking Dead social game is to stay alive. You and your Facebook friends must establish a camp and defend it from the Walkers (i.e. zombies). You’ll scavenge resources, complete missions, and even meet characters from the TV show according to Cinema Blend. AMC and Eye Wide Games mentioned you will have to protect what’s yours along with your friends, even when you sign out of Facebook the hungry hoards will still be coming for your safe haven. AMC has also said there will be interaction and options with the characters from the TV show. Make sure to try this game out when it comes out sometime in April. April huh? Guess what, its June at this rate i wouldn’t be surprised if it never came out.